Despite a successful dental practice and heavy involvement in organized dentistry, Dr. Bill Calnon never intended to raise two dentists. He simply wanted his sons to grow into thoughtful leaders who gave back to their communities and professions. The trio of dentists pose in a June 2017 photo. From left, Drs. Chris Calnon, Bill Calnon and Tim Calnon. However, after a childhood of watching their father, Christopher and Timothy Calnon determined dentistry would be a great career for them too. And for the Calnon brothers, organized dentistry was not a foreign, opaque entity. The destinations of their childhood vacations often coincided with dental meetings their father was attending. It seems safe to assume not all kids would find the ADA’s House of Delegates interesting, but the Calnon boys did, as they watched their father rise to president of the ADA. Dr. Tim Calnon, now 29 and an orthodontist, was greatly involved with the American Student Dental Association while attending the University at Buffalo School of Dental Medicine. He currently serves on the board of the Monroe County Dental Society in Rochester, New York. Dr. Chris Calnon was president of the same county dental society two years ago and is now focusing on volunteering at the district and state level. Both men said their participation in organized dentistry was an easy decision. All three men said organized dentistry has enriched their life. 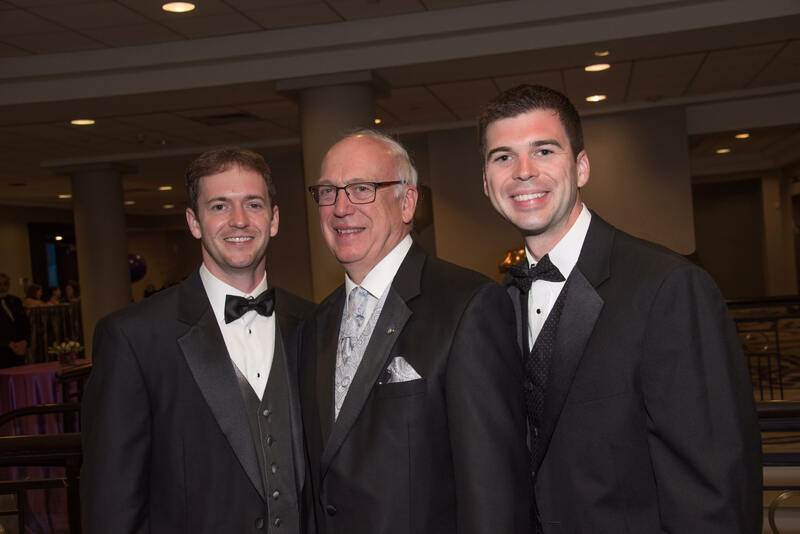 Dr. Chris Calnon and Dr. Tim Calnon said some of their best friends are fellow dentists, while Dr. Bill Calnon said organized dentistry took his career to another level. To the surprise of no one, Dr. Bill Calnon is currently serving as the board president and interim executive director of the ADA Foundation. Over the years, his sons have marveled at his ability to be a good dentist, leader and father. “I think sleep is the first thing to go,” Dr. Tim Calnon said. Meanwhile, the Calnon brothers will continue to give back to the profession that has given their family so much. In fact, Dr. Chris Calnon is married to a dentist while Dr. Tim Calnon is engaged to one. I enjoyed so much reading the article about the Calanons. Wow, 5 dentists in the immediate family! Happy Fathers Day to Dr. Bill and to all Fathers and an especial Thank You for those incredible Moms who truly make our roles much easier.